The cast of new Aussie film ‘The Sapphires’ rocked the Cannes Film Festival recently, with the flick’s global premiere garnering universal praise (and a standing ovation). The film tells the story of four singers from an Aboriginal mission who, after being discovered by a talent scout, are sent to Vietnam to entertain the troops. The film, starring Deborah Mailman, Chris O’Dowd, Shari Sebbens and Miranda Tapsell also features songstress Jessica Mauboy, who also appears on the official soundtrack (above). The soundtrack will be released by Sony Music late next month and although packed with classic cover versions, it also features a brand new single by Jess entitled ‘Gotcha’. The track is co-written by Jess, Louis Scoorl and The Potbelleez’ Ilan Kidron and is due for a digital release on Monday July 16. 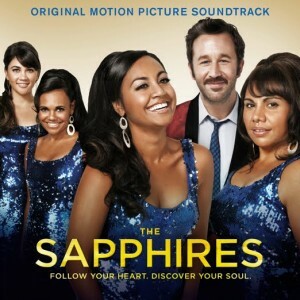 The soundtrack to ‘The Sapphires’ will be released on Friday July 27. The press release mentions nothing about it being written specifically for the film, but that it was “inspired by songs from the film”. It would be pretty safe to say that it’ll turn up on a Jess album somewhere in the future, but we’ve heard nothing of her new studio record just yet. Will ‘Gotcha’ also be featured on Jess’s next album or was it penned just for the film?